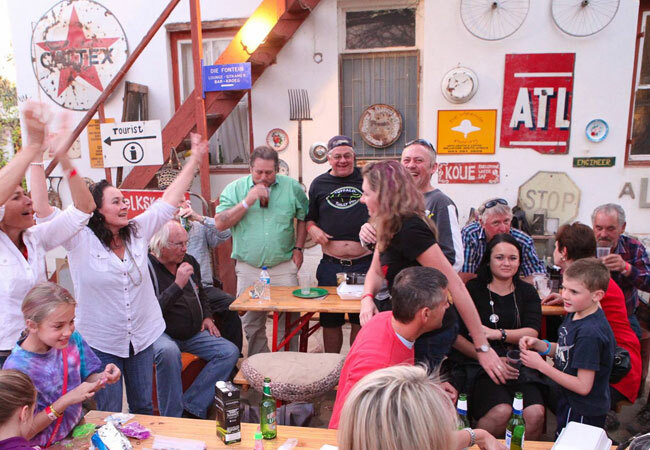 Annual Festivals / Concerts & Shows / Food & Wine in or near Williston, Upper Karoo in the Northern Cape, South Africa. Williston in the Upper Karoo originated as a Rhenish Mission station in 1845. First named Amandelboom (after the wild almond tree the first missionaries pitched their tents) and was renamed Williston in 1919 in honour of the Colonial Secretary of the Cape, Colonel Hampden Willis. This year the festival will be the best thing to do in the Karoo over the flower season and is the best time to visit the Karoo. Not only will there be again more than 100 "rieldancers" but you will also be entertained by a variety of local talents as well as famous bands. There will be lots of stalls and a chance to sample delicious karoo food. Williston is a small town so you should book early if the want to sleep over. The festival will be concentrating on showcasing the interesting and unique talents, customs and landscape of the Northern Cape Karoo. This is something not to be missed. Come and enjoy the fun! Venue: Various venues in and around town.